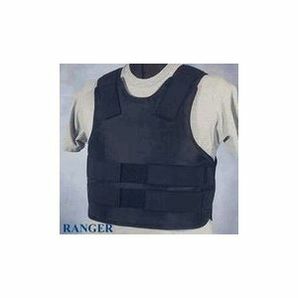 An item of personal armor that helps absorb the impact from firearm-fired projectiles and shrapnel from explosions.These useful devices of protection are most commonly bought and used by army troops as they are cheap and effective. Kevlar is a tough synthetic fibre which also has useful fire-proof properties and so has many applications. Disclaimer: Does not protect head or below the belt. You must purchase additional equipment for those areas. Trader applies a no refund policy. No warranties implied or imagined. Not responsible for anything that might go wrong. This page was last edited on 14 February 2019, at 17:32.